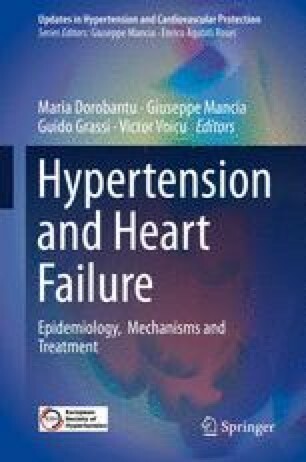 The metabolic features of heart failure risk have been described in both epidemiological and pathophysiological studies. As impaired glucose metabolism and overt diabetes are closely associated with heart failure risk, the influence of antidiabetic drugs has been extensively studied in recent years. A very promising class of drugs in this respect is the sodium-glucose cotransporter 2 (SGLT2) inhibitor, now tested in large, placebo-controlled trials. Furthermore, the incretin-activating drugs have been tested for cardiovascular prevention, but so far the SGLT2 inhibitors have shown an especially more favorable effect on reducing the risk of heart failure in patients with type 2 diabetes and previous cardiovascular events. This review was supported by a grant from the Swedish Research Council and from the Heart and Lung Foundation of Sweden to PMN and grants from the Medical Faculty of Lund University Skane University Hospital, the Crafoord Foundation, the Ernhold Lundstroms Research Foundation, the Region Skane, the Hulda and Conrad Mossfelt Foundation, the Southwest Skanes Diabetes Foundation, the Kockska foundation, the Research Funds of Region Skåne and the Swedish Heart and Lung foundation and the Wallenberg Center for Molecular Medicine, Lund University to MM. Also the Knut and Alice Wallenberg foundation is acknowledged for generous support. Conflict of Interest: PMN has received funding for educational lectures from Novo Nordisk and Boehringer Ingelheim. MM has received funding for educational lectures from Boehringer Ingelheim and Sanofi-Aventis.